5 months pregnant and already feeling the tiredness of pregnancy. 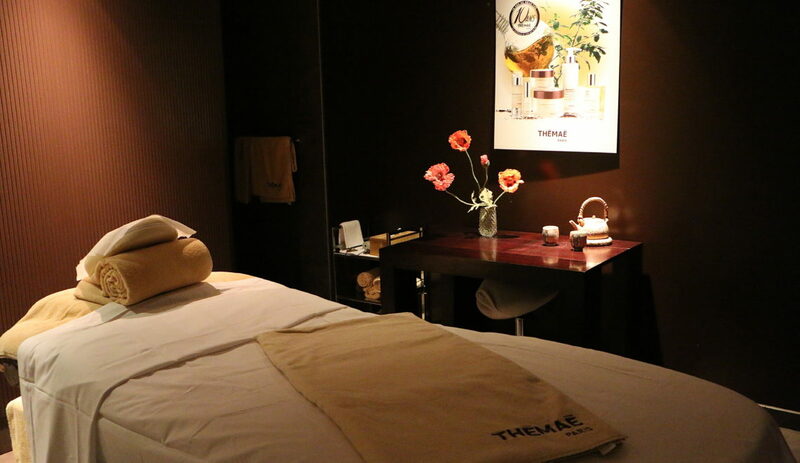 That’s when I discovered the perfect place for pregnant women to recharge their batteries – and in general, for everyone who could use a luxurious treat: the THÉMAÉ spa in Paris! 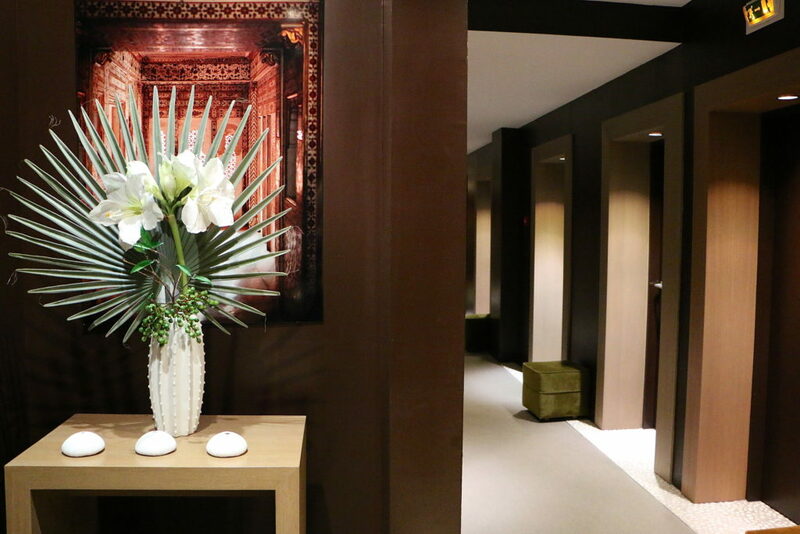 There is a reason why you should choose this spa – find out here. 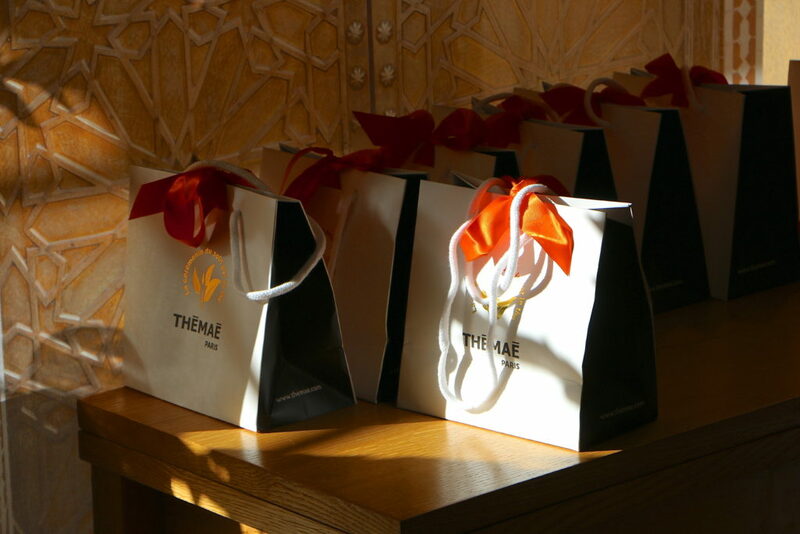 What´s so special about the THÉMAÉ Spa is that they draw their inspiration from the art and culture of tea. 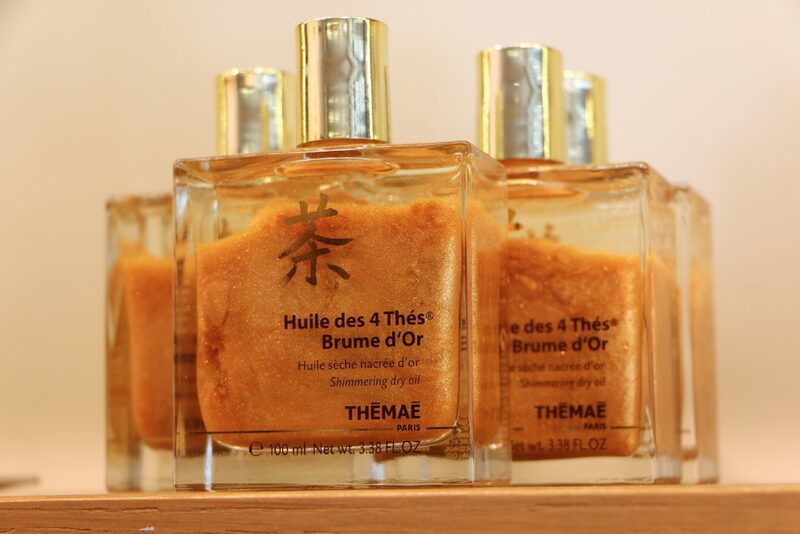 The name THÉMAÉ comes from the Japanese, meaning `the various phases in preparing and presenting the tea ceremony`. But why tea you might think? 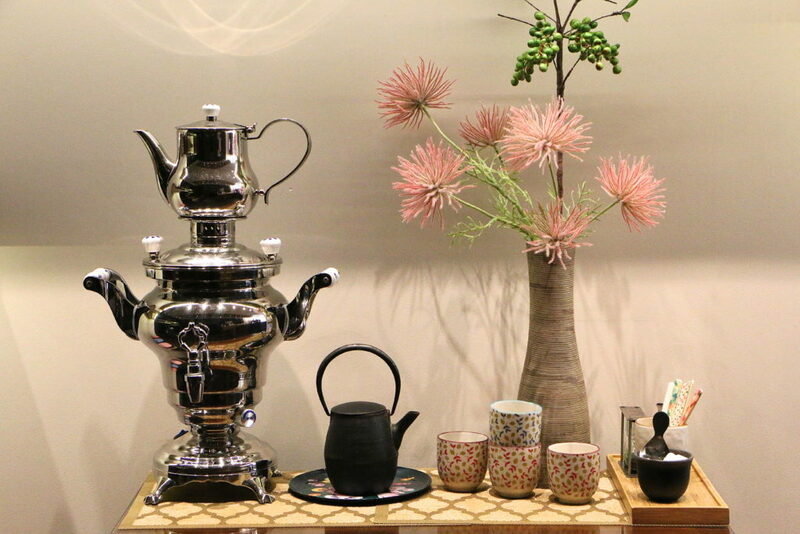 Because tea contains many beneficial virtues that influence on the body and mind. 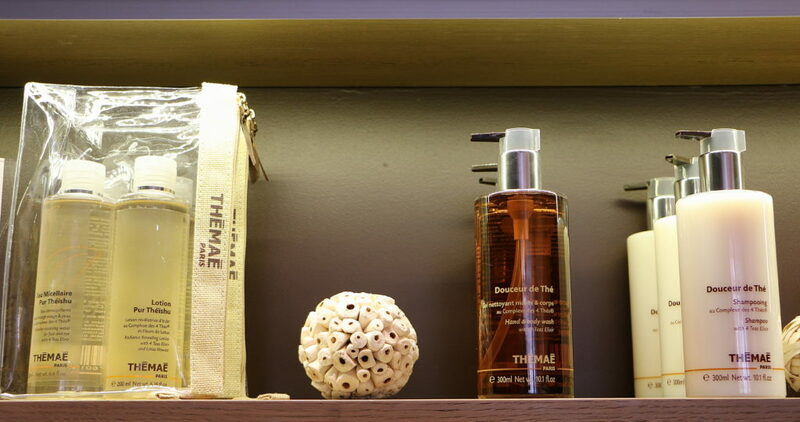 At THÉMAÉ they also cherish the idea that touch has comforting and therapeutic powers essential to wellness. 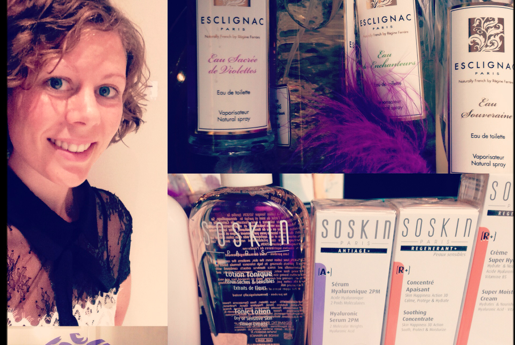 So by combining the two they create a very holistic approach to beauty that intrigued me. 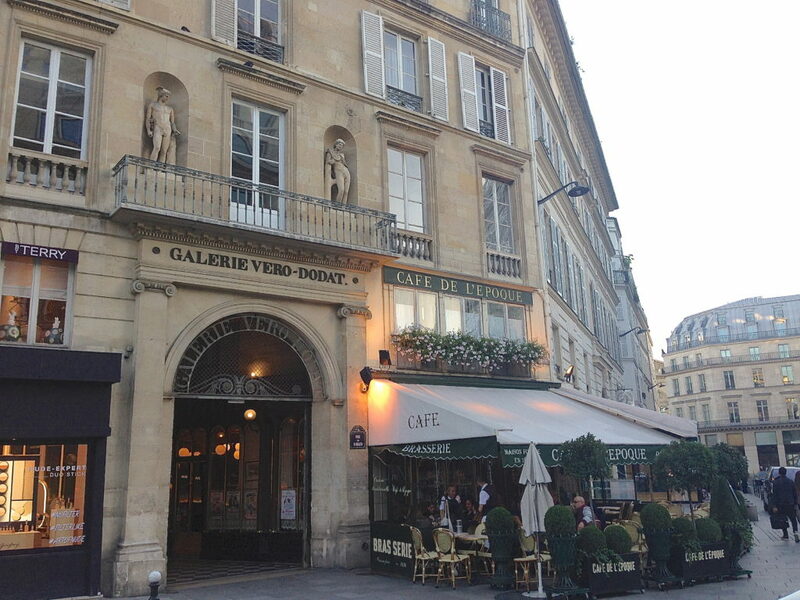 THÉMAÉ is located in the middle of Paris, just next to some fabulous cafés, not far from the gardens of the Royal Palace and the Louvre…I couldn´t wait to try it. From the moment I walked in the door I was met by a peaceful ambience. 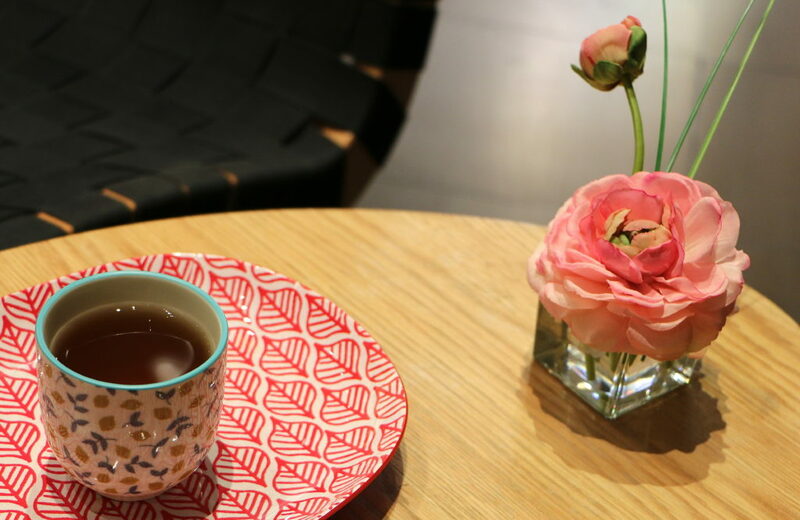 Not long after, I was accompanied by a friendly staff to an area where I could enjoy a delicious warm tea before my massage. 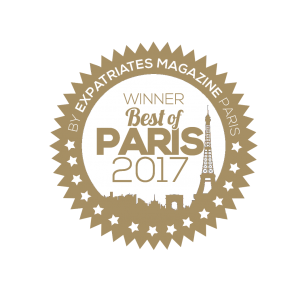 Just in the spirit of THÉMAÉ! 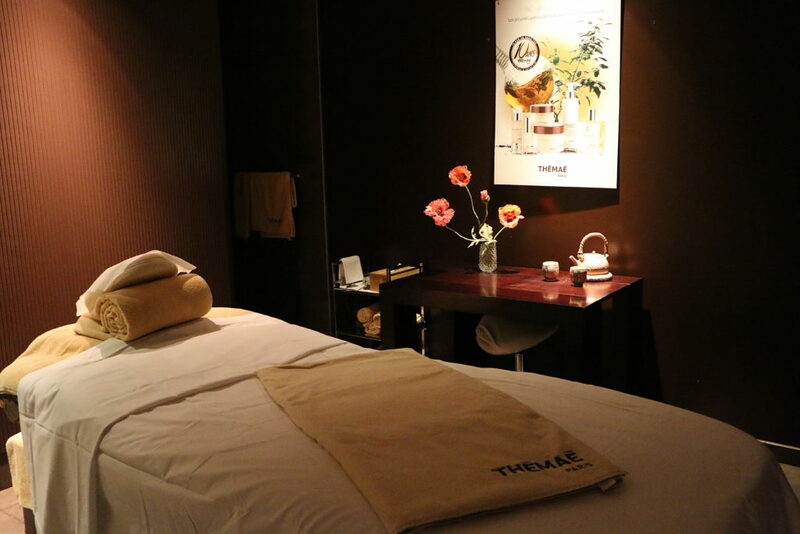 I was going to try the Cocoon massage – perfectly adapted for pregnant woman: A gentle and enveloping massage that improves the blood circulation and relaxes the muscles of the legs and back, to relieve tension and discomfort related to the pregnancy. Just what I needed. It was the perfect moment of relaxation. I could not help noticing the little box to put my jewelry in. There was though of even the smallest detail. 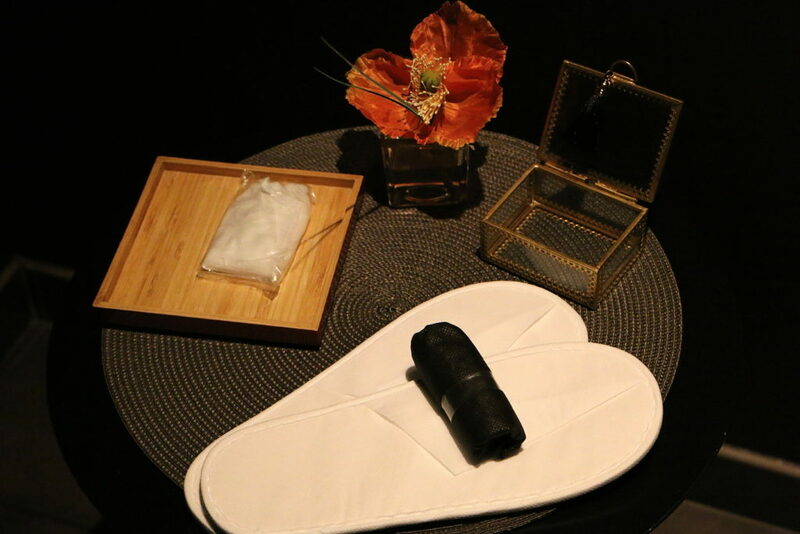 Before the massage I could also choose the music and balm that I would like during my massage. 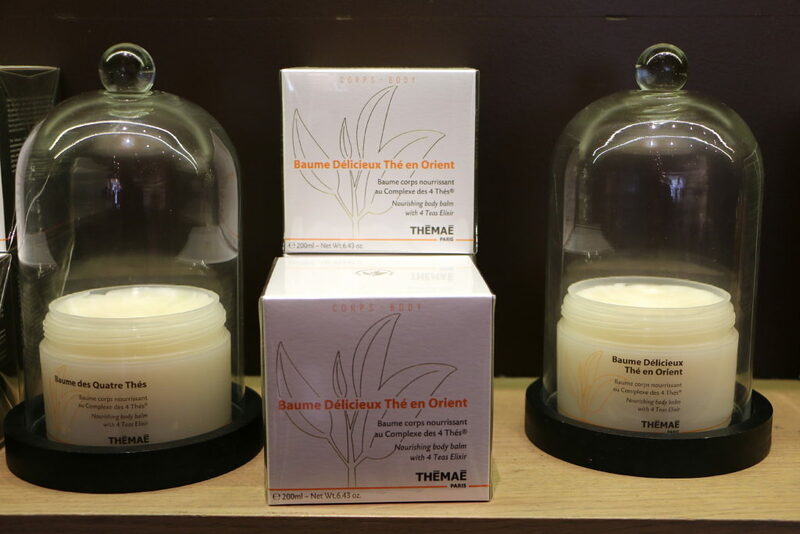 I choose the “Delicieux Thé en Orient´: A nourishing body balm with 4 tea´s elixir. It was fabulous. 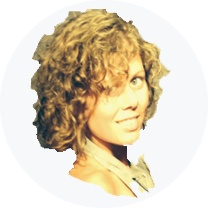 I completely forgot about the heavy feeling that´s related to pregnancy and felt all light again…AMAZING. 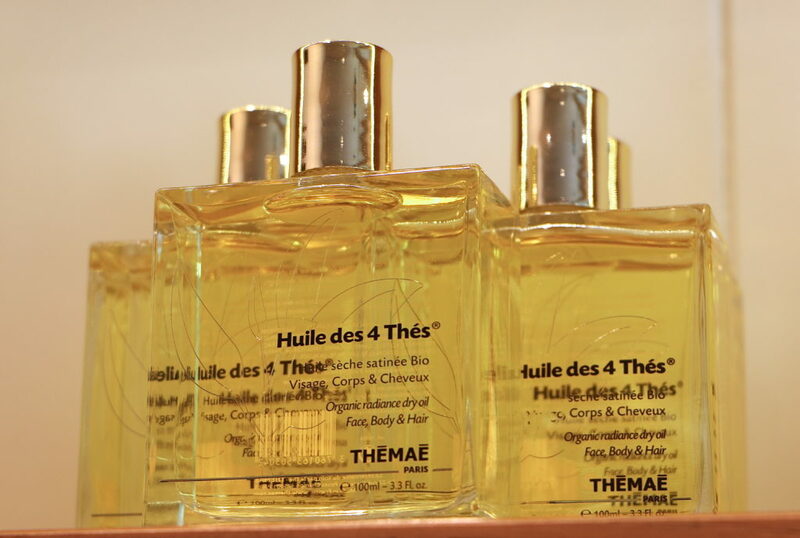 And besides the excellent massage and moment of well-being I became fond of their products – especially the ´Huile des 4 thés´: an organic radiance dry oil based on 100% natural ingredients and perfectly adapted for pregnant women! I loved the fact that all their products are based on a combination of 4 teas : the green tea filled with antioxidants, the red rooibos tea with relaxing powers, the white regenerating tea and the stimulating black tea, all known for their beneficial virtues and antioxidants that are 200 times higher than vitamin E.
Depending on which product you choose other components will of cause add more benefits and there by give you different results! 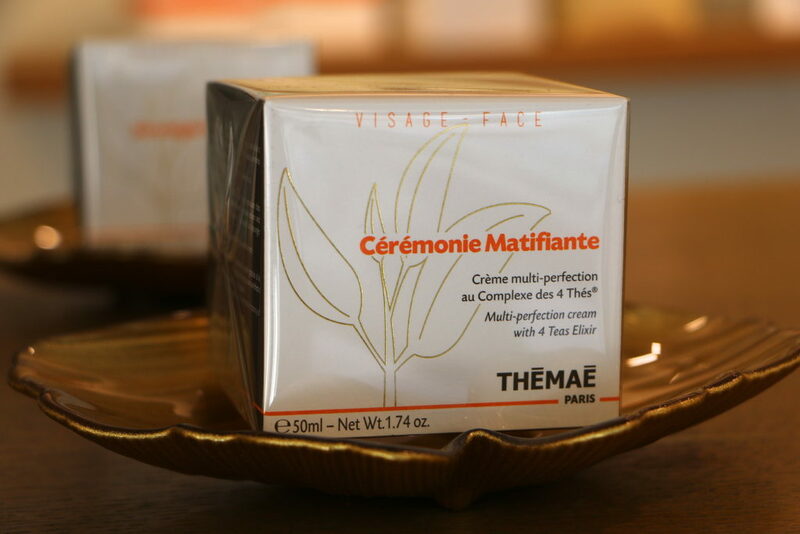 THÉMAÉ definitely symbolizes a world of refinement, beauty and wellness. After my treat I had a coconut / caramel tea – It was fabulous!